Your Wedding Day is one of the happiest and most important days of your life and we want to ensure that your evening entertainment is perfect for you and your guests. We will discuss all your requirements and expectations from our initial contact with you. We will make sure your evening is a success, right up until the very last song is played, so you, your families and your guests enjoy a night to remember, forever. Whether it's an 18th or 21st birthday, we can provide you with a young, energetic DJ with a vibrant personality, who will play the right music to keep all your guests happy. We can give you that nightclub vibe whilst ensuring your family are entertained as well. Its your party so you choose the music. Whatever age you are celebrating - we have the perfect DJ to cater for your party. We can guarantee you a night to remember. All our DJs are highly professional and experienced. We only use top quality sound and lighting. 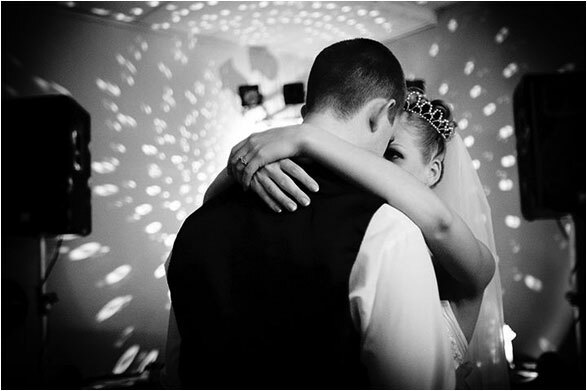 We can compile a playlist tailor-made for your party, which will keep your guests on the dance floor all night long.